Finally! Holidays, days off and leisure time. 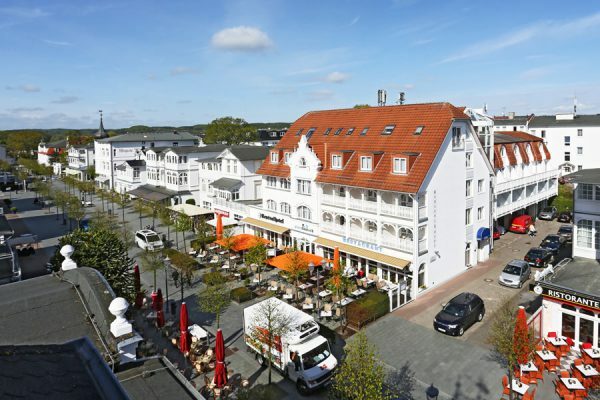 The Centralhotel Binz, with its 54 rooms and apartments, is recommended as your accommodation for the best days of the year on the island of Rügen. The name says it all: Centralhotel Binz. We are located in the centre of the historic Baltic seaside resort, directly on the traffic-reduced main boulevard of Binz. This vibrant area offers numerous possibilities for interesting experiences and shopping. Our apartment house, the “Villa Mona Lisa”, is located about 200 metres from the Centralhotel Binz. 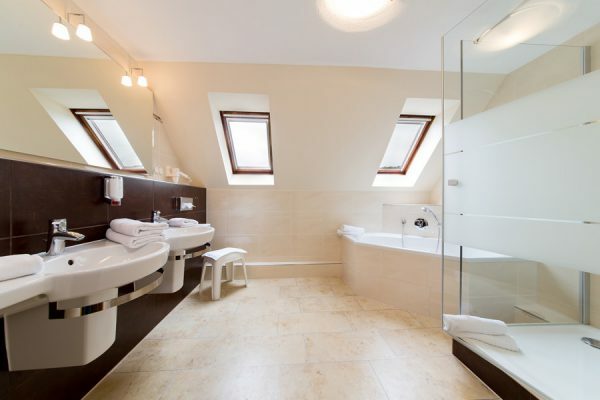 It has 11 spacious one- and two-bedroom apartments. Naturally, guests staying at the “Mona Lisa” enjoy the complete services of the house. 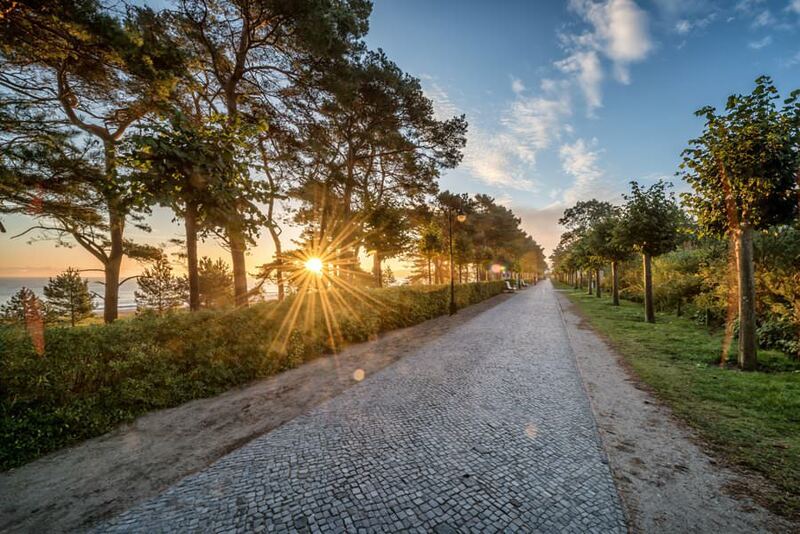 From both houses you can quickly reach the beach promenade, the adjacent fine sandy beach by the Baltic Sea featuring the Binz pier. Or you can head in the other direction, where you will find the lake, Schmachter See, with its promenade. A quiet place to linger a while. Our front desk team will gladly attend to your wishes during your stay at the Baltic Sea resort of Binz. We can advise you on all aspects of your holiday on Rügen, recommend suitable excursions and book a tour or an event ticket for you. Our housekeeping team will take care of your room or apartment during your stay, ensuring you lack for nothing. Download our brochure in PDF format and find out about the Centralhotel Binz and the “plattdütsch” restaurant. whether for breakfast or an à la carte lunch or dinner, and of course for a snack between times. We wish you a pleasant stay and look forward to welcoming you as a guest to the Centralhotel Binz and the “Mona Lisa” apartment house. 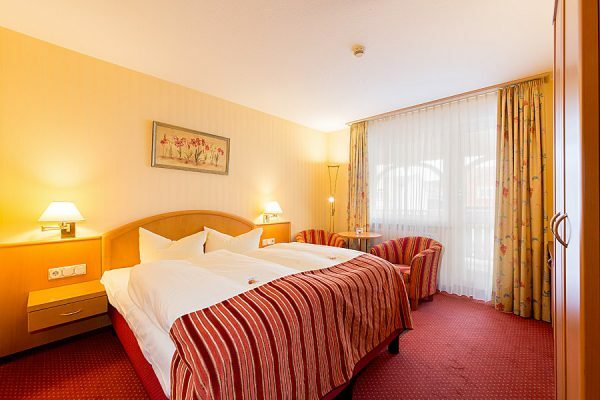 The Centralhotel Binz has 54 double rooms and suites. These are divided into four single and 46 double rooms and four suites. a total of 11 one- and two-bedroom apartments. 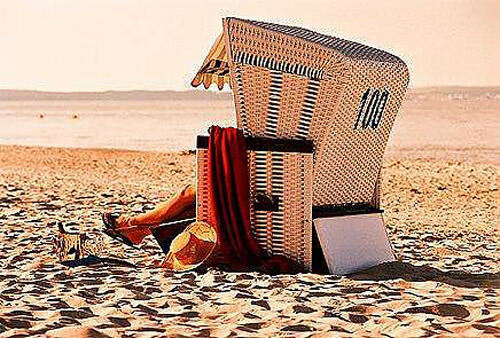 Are you planning to spend some unforgettable days at the Baltic Sea? 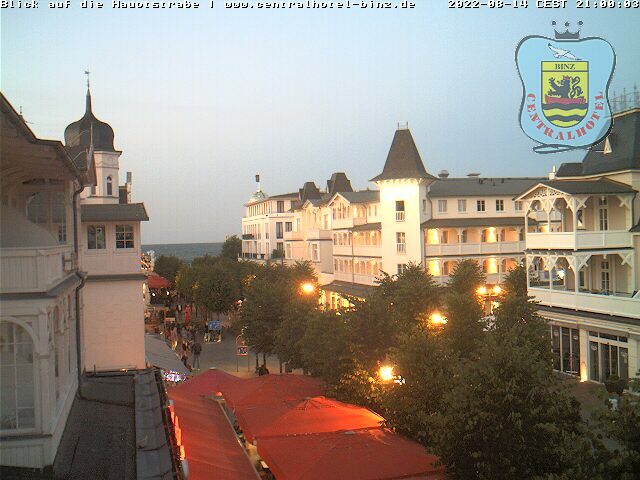 What is the weather like in the Baltic Sea resort of Binz? Are you looking for a gift for your loved one, parents or children? 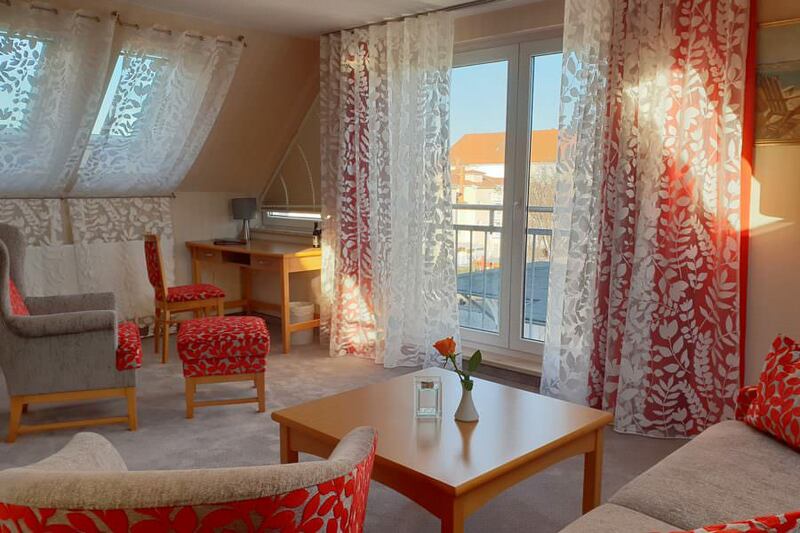 We have many suitable arrangements for you to spend a holiday at the Centralhotel Binz on the Baltic Sea, at any time of year. Discover the springtime awakening of nature or the colourful autumn days – or would you like to spend the year’s turning at the Baltic Sea? Then you can’t go wrong making the Centralhotel in Binz your destination. With our favourable offers, you can also enjoy the Baltic Sea air for a second time in the same year. Our mini breaks are also very popular for family outings comprising several generations: Grandparents, parents and grandchildren will spend unforgettable holidays together at our establishment on Rügen. 4 nights including half board from €259.00 per person in a double room. 3 nights including half board from €149.00 per person in a double room. 7 nights including half board start at a price of €439.00 per person in a double room. 7 nights including half board from €499.00 per person in a double room. 7 nights including half board start for the price from €439.00 per person in a double room. 6 or 3 nights including half board for the price from €299.00 per person in a double room. 3 – 6 nights including half board from €129.00 per person in a double room. 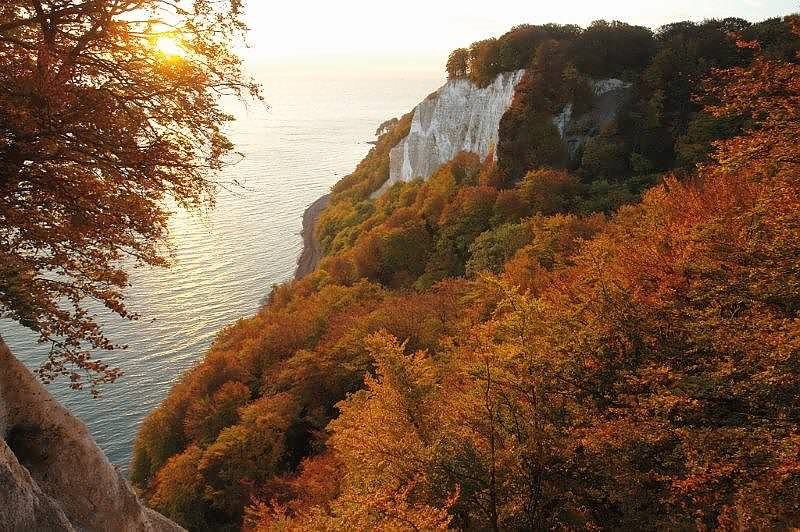 When you think of the island of Rügen, what springs to mind are the beach, the Baltic Sea, the beech woods, beautiful landscapes, the Jasmund National Park or the UNESCO Biosphere Reserve in the southeast of Rügen, the Rushing Roland locomotive or the chalk cliffs. 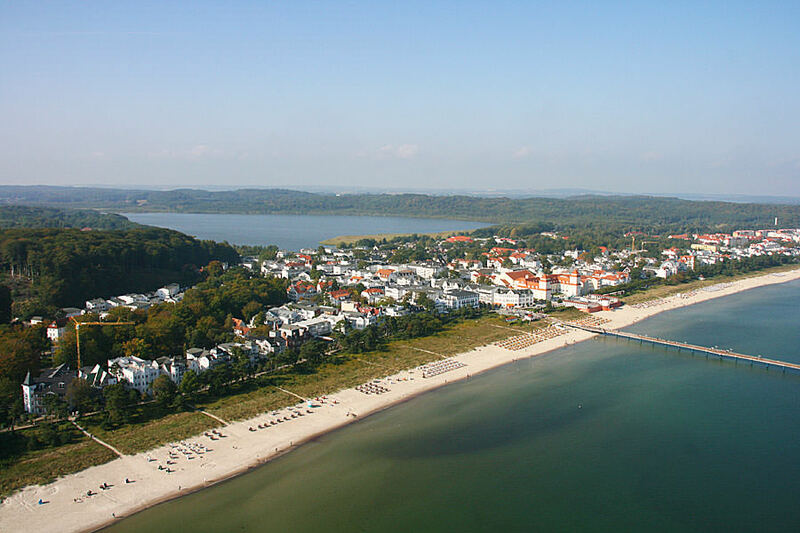 However, what probably most readily comes to mind when you think of Germany’s largest island is the famous Baltic seaside resort of Binz. The captivating town, with its fantastic location on a kilometre-long bay, is a real gem among the seaside resorts along the German Baltic Sea coast. The fine sandy beach and the excellent water quality can compete with the best beaches in the world. 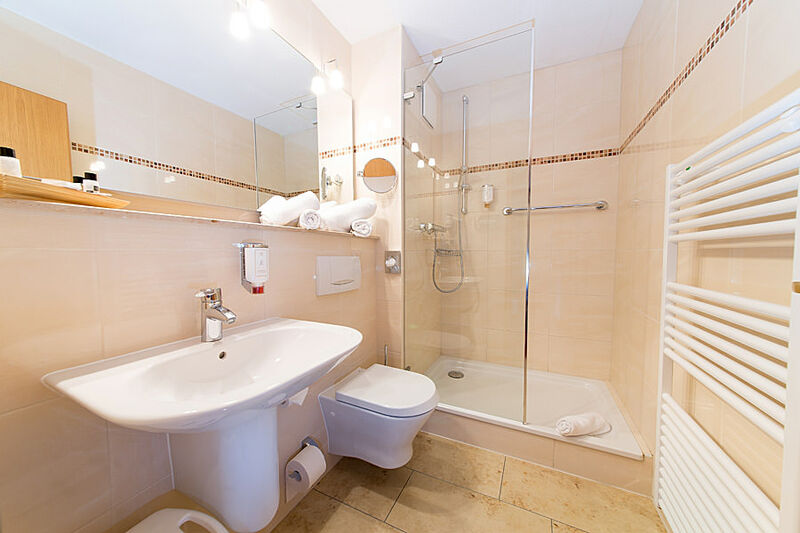 In addition, Binz has become established in recent years as a top address for its excellent accommodation facilities. The best place to stay is the chic main street of the seaside resort. Lined with radiant white buildings in the architectural style typical of spas, it forms the pivotal point of this jewel among the Baltic Sea resorts. The best way to spend your stay here is to lodge at one of the high standard hotels and enjoy your holiday from day one. 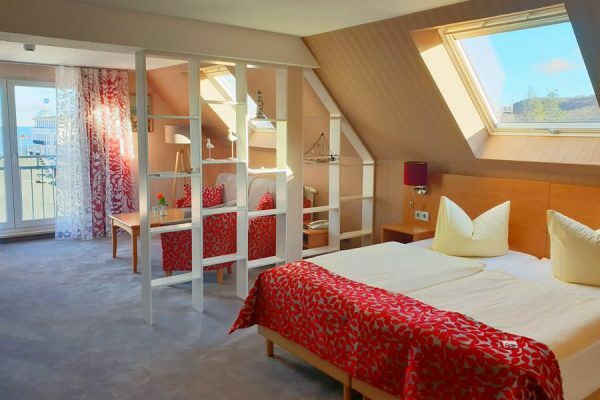 In modern and stylishly furnished rooms, you can enjoy your island holiday to the full at a hotel in Hauptstraße, Binz and go on a daily discovery tour. 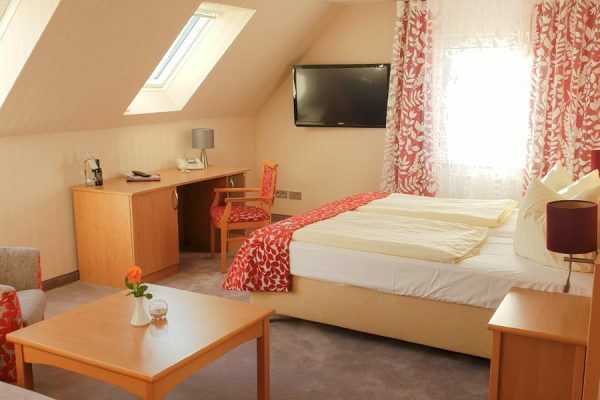 The most important sights, the beautiful beach and all the excursion destinations are in the immediate vicinity when you book a hotel room in the centre of the Baltic seaside resort. From here you can explore the beauties of the island, returning to your cosy home-from-home every evening. 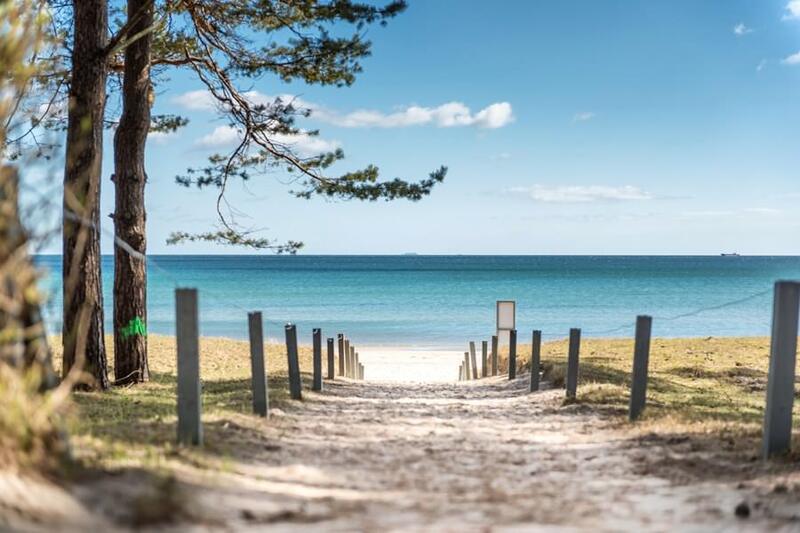 A stay in Binz has so much more to offer than a beautiful landscape and the beach. 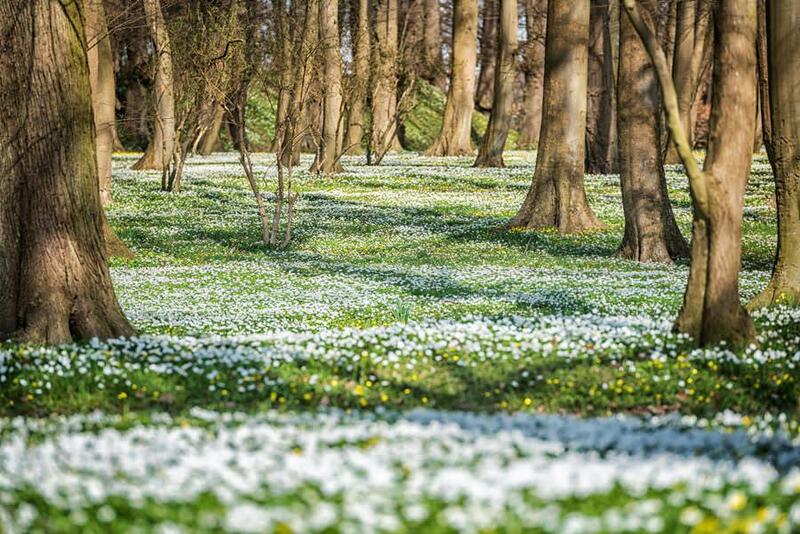 The state of Mecklenburg-Western Pomerania and especially its islands promise adventures and new experiences. You can stay here comfortably all year round you and go on a discovery tour. Your Rügen hosts are looking forward to your visit and will be happy to provide you with valuable tips. For example, there are a whole series of events throughout the year that make a stay in Binz a real experience. 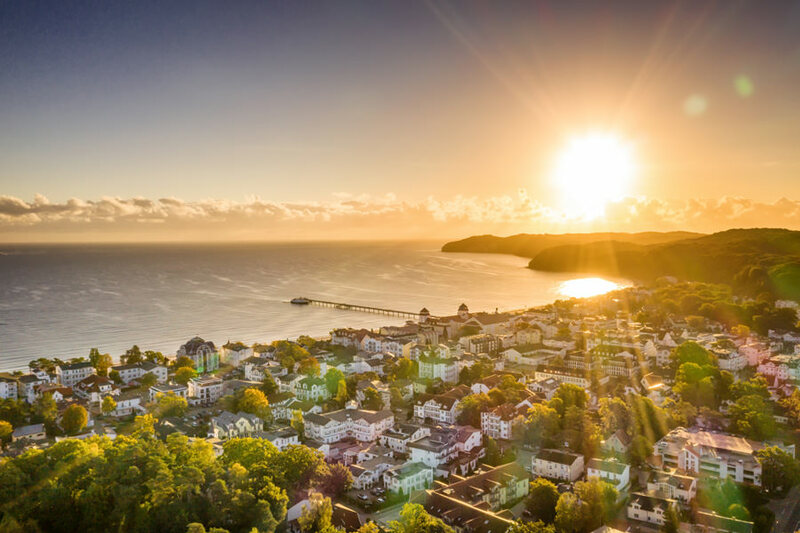 Whether sporty or historical in nature, the Baltic seaside resort of Binz on the island of Rügen awaits its guests with great hotels and plenty of variety. You will soon succumb to this special island charm! Vouchers are always a great gift idea. You can order your individual voucher for friends and relatives through our contact form, by e-mail or telephone. You can also purchase culinary gift vouchers to the desired value for our “plattdüütsch” restaurant. Our team at reception will be happy to provide you with further details on the purchase of a voucher.